Over the years, the Merseyside Police Mounted Section has helped police Royal Visits, World Cup matches in 1966, a civic reception for The Beatles, and regular trophy processions by Everton and Liverpool football clubs. 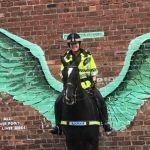 In order to continue its work and remain at the heart of communities as well as help police some of Merseyside’s biggest events, the force is launching the ‘Stand Tall’ campaign to garner support for the Mounted Section from the public and corporates alike. Any money raised will help pay the costs of keeping the horses – vets fees, feed, saddlery, farrier and vehicles. This totalled £200,000 in 2018. Although this is a big expense in these financially-challenging times, recent research shows the presence of a horse can have the same impact as 12 officers on foot, so it is crucial that we retain the Mounted Section. Whilst officers and staff working with the horses will continue to be funded from our normal budget, the funding from the sponsorship packages means the existing budget to look after the horses can be reinvested into other areas of frontline policing. Chief Constable Andy Cooke said: “We are convinced of the value of keeping the horses, but significant cuts to public services have prompted us to look even more creatively at how they can continue to provide the same level of service to the public. Giving the section a clearly defined identity and building support this way will allow the force to maintain the department so the horses can continue to be a strong operational resource. It will also enable us to reinvest the existing budget in to other areas of frontline policing. The logo for the Merseyside Police Mounted Section is inspired by Murphy’s Law, a police horse who loyally served the force for 14 years. Murphy sadly died, shortly after becoming a social media star when he posed in front of Liver Bird wings street art on Jamaica Street in Liverpool. The “Stand Tall” campaign was formally launched at Liverpool’s Hope Street Hotel on the 7th March 2018 at an event hosted by Chief Constable Andy Cooke and Police and Crime Commissioner for Merseyside Jane Kennedy, with Metro Mayor Steve Rotherham, the CEO from Liverpool Football Club and the Deputy CEO from Everton FC there to show their support. 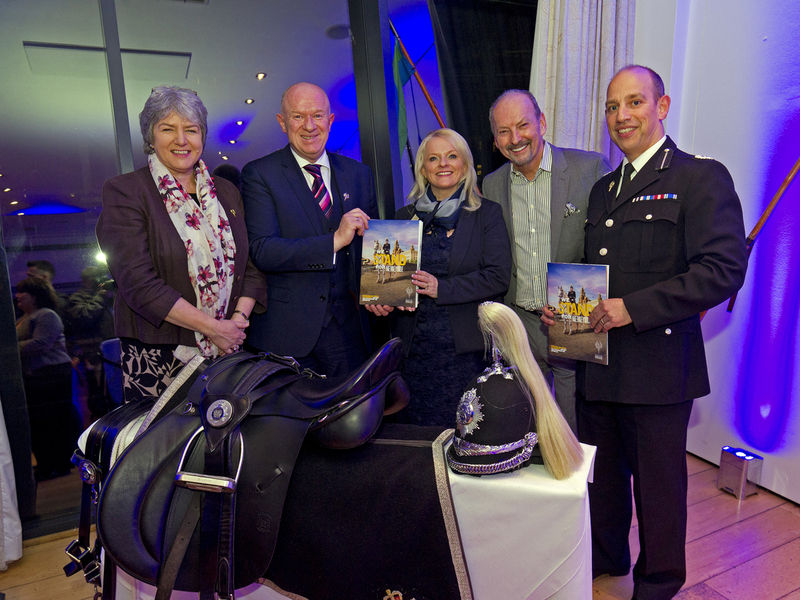 Merseyside’s Police Commissioner Jane Kennedy said: “Merseyside Police’s Mounted Unit plays an essential role in maintaining public confidence in the Force. The horses break down barriers that might come between the public and the police. The horses provide reassurance to large crowds and assist police colleagues on foot in safely delivering the crowds to their destination. I was determined to do everything I could to protect this important police unit. By supporting the work of Merseyside Police Mounted Section, you can help keep us standing tall into the future. Ask about corporate sponsorship opportunities.